This piece is a portrait of Long's Peak. I like to think that the warmer spring winds will bring a hint of the color to come in the high mountains. The wind on the peak keeps the snow at bay. 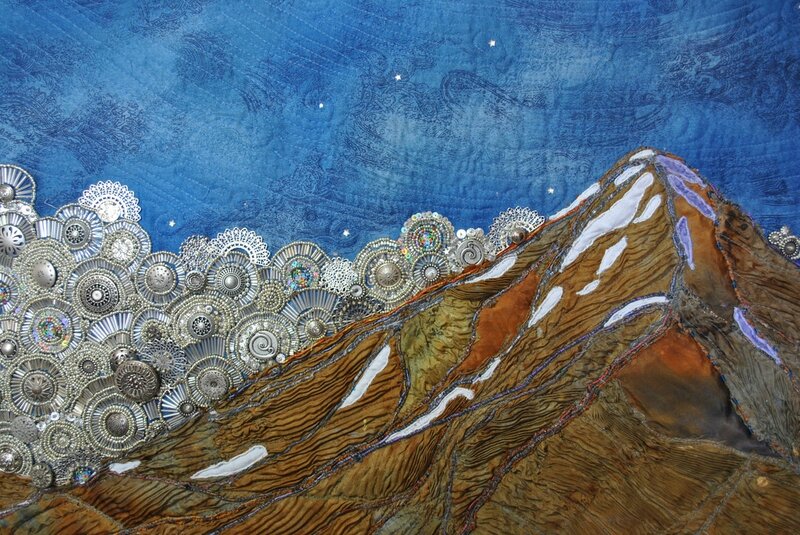 This piece is constructed of hand dyed, manipulated silk fabric. There are some hand wrapped and coiled threads as well. It is hand beaded with buttons, sequins, beads, crystals, and cried bone.